Assistant Harbormaster Tim Cronin works on a new floating dock in the parking lot near the boat ramp Monday behind Manchester Town Hall. 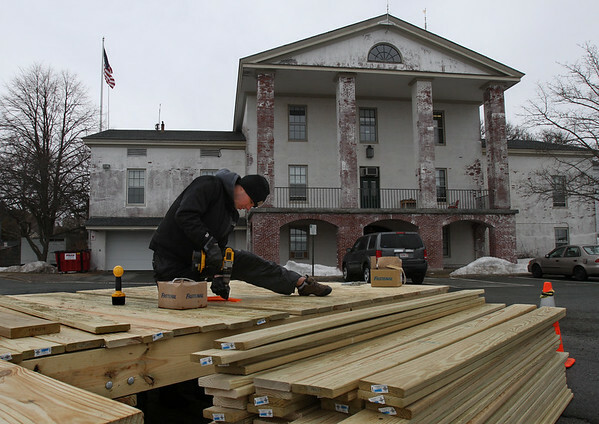 Cronin and Harbormaster Bion Pike began building an new set of floats for the town in mid-January, but were delayed by the blizzards. They are now about halfway through building 23 new floats for the 2015 boating season.